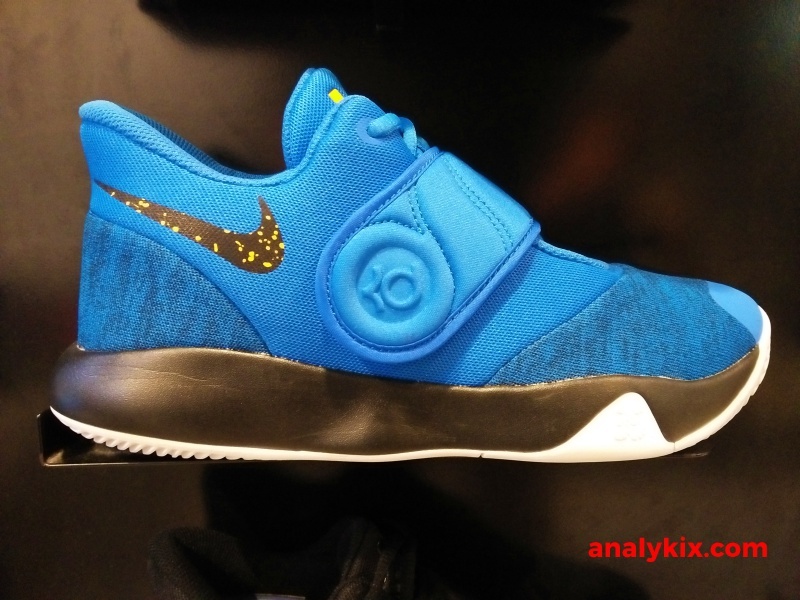 Aside from the usual neutral colorway of the Nike KD Trey 5 VI (black), there is also a Warriors-inspired colorway which looks appealing in my opinion. 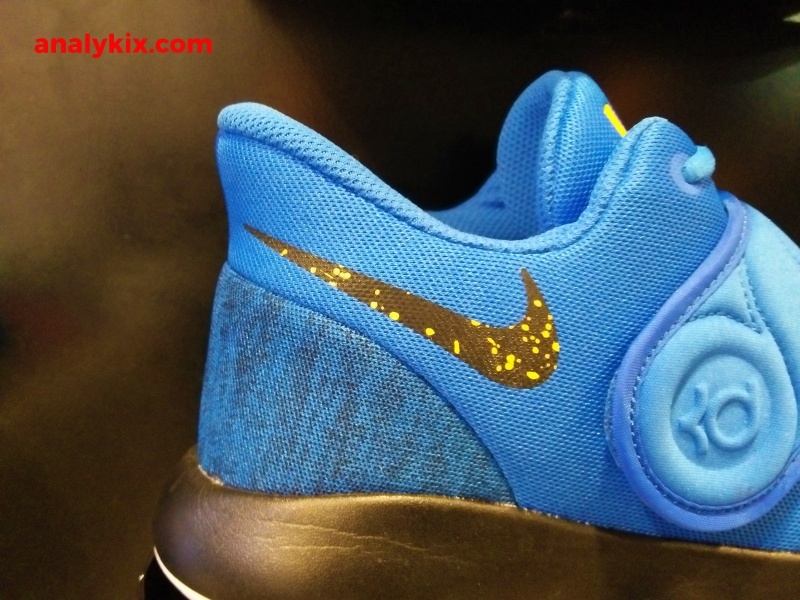 The Nike Trey 5 line has always been consistent with its release during summer or off-season in the NBA. 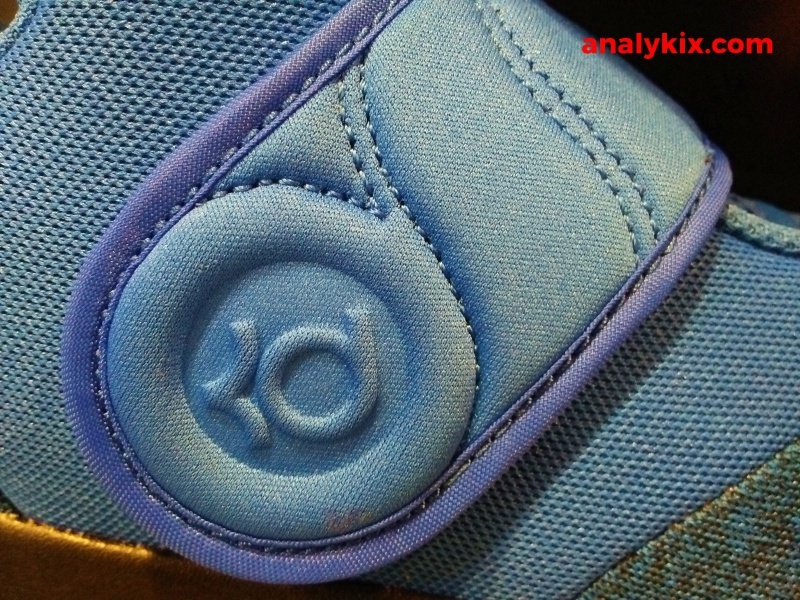 This one has a blue-base with hints of black and yellow which fits to Kevin Durant's current team, the Golden State Warriors. 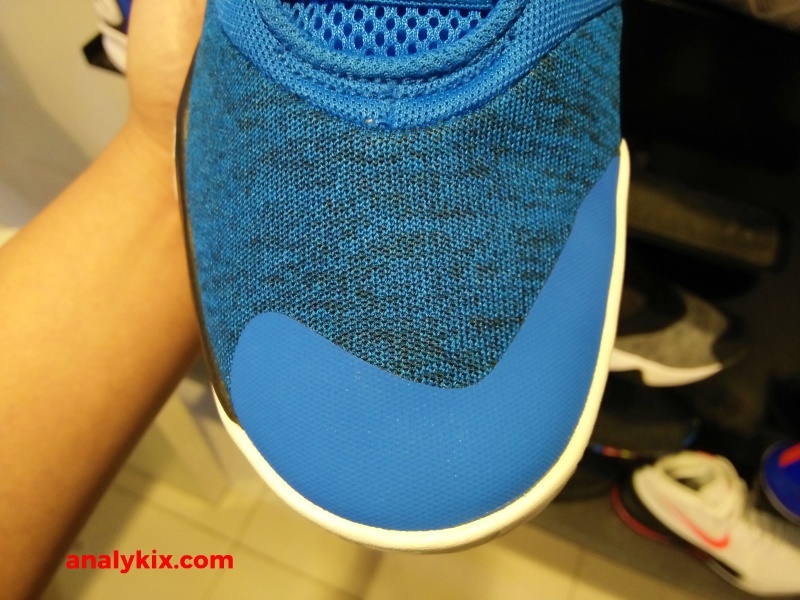 As for the tech specs, textile upper with midfoot strap to add another layer to this simple-looking shoe. 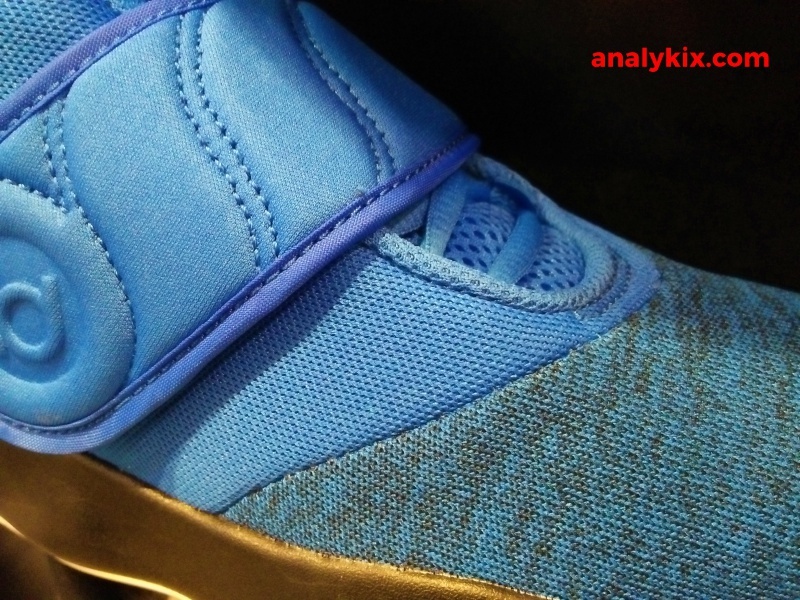 There is some fuse piece in the toe area for protection against toe drags. It is light and ideal for short ball sessions during summertime. 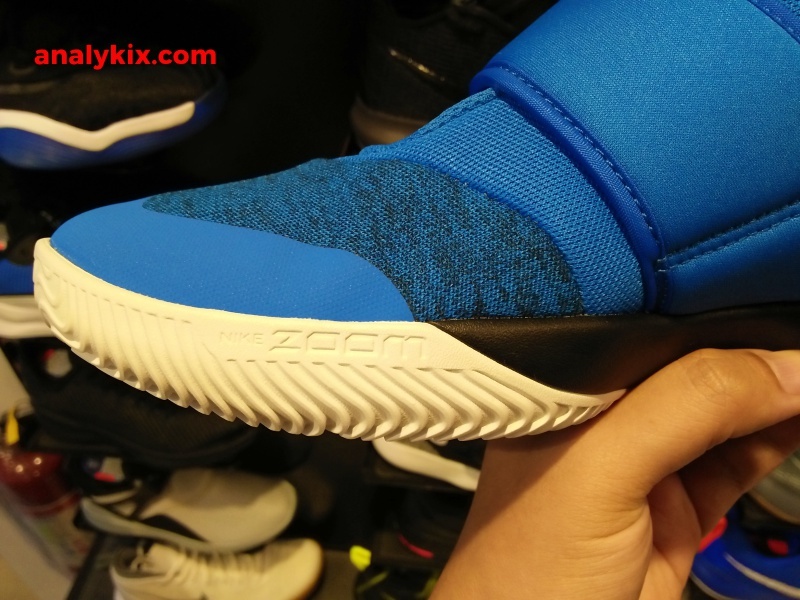 Cushioning is made up of phylon foam with a Zoom Air unit in the forefoot area although I am not exactly sure if it is a rectangular or a hex-shaped Zoom unit because this is not a top-tier model. 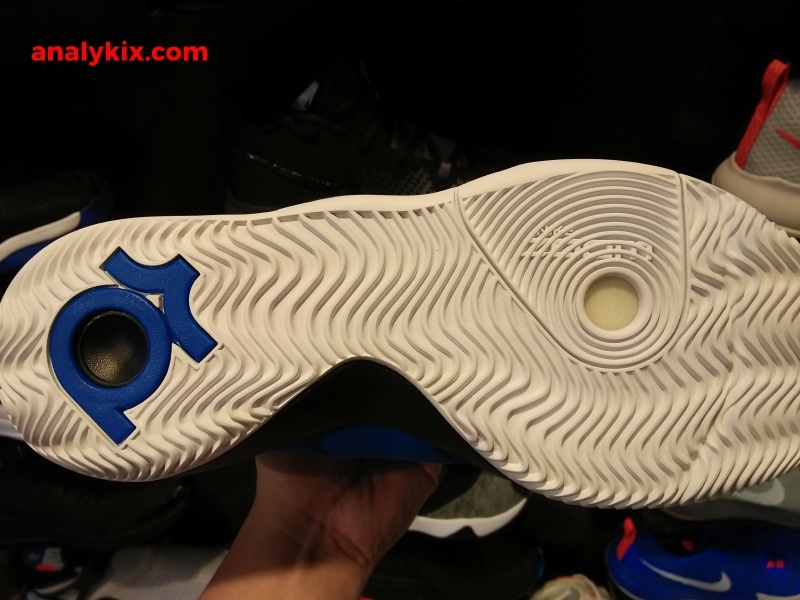 Underneath, you can find a solid rubber outsole with a wavy traction pattern for the most part with a circular pattern on the pivot point located on the ball of the foot where you can peep through the Zoom unit as well. 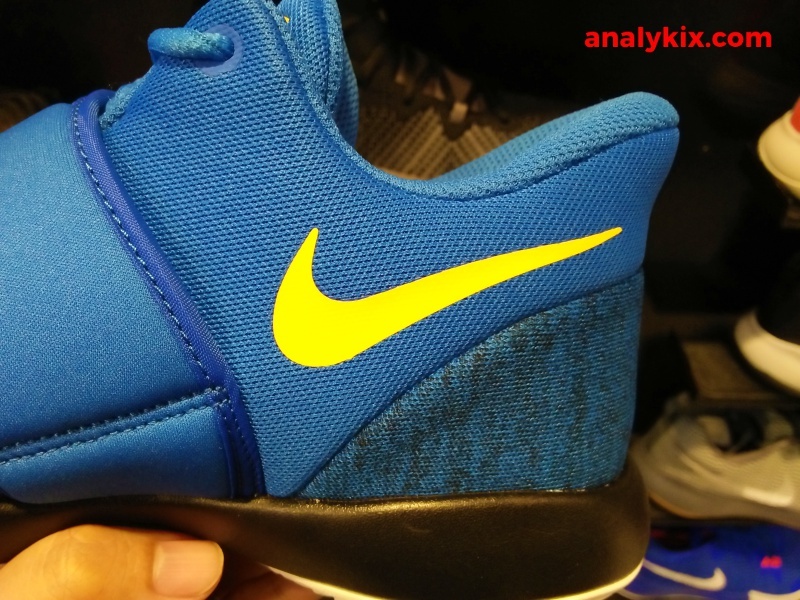 You can grab this now at various Toby's Sport stores around Metro Manila.